Bottom line: Overall, the T-Mobile service is better than ones offered by other carriers. The interface is more user friendly, it has the free check in option to try out with your kids first and it can be used with any phone on any carrier. The biggest downfall is that T-Mobile’s network is not one of the most reliable ones giving poorer accuracy. Bear in mind, just like with all carrier Family Locators, you can only locate those on your plan that have the same carrier. I don’t feel it is worth $10 a month and would opt only for the free version of the Check In app instead. Pros and Cons: One of the obvious pros to the FamilyWhere service is the free option it offers. Free appeals to everyone and in this case it is no different. The paid option of the Locate plan also comes with a free 30 day trial, giving you plenty of time to see if the service really works and test its accuracy. One of the downfalls to the service is that it seems to be much less accurate than other locator services. While locator services will all vary in reliability due to the area, the type of phone being used and the carrier, T-Mobile’s seemed to show the location to be way off most of the time. My daughter had the phone right next to me and it showed her about 10 miles away at the gym we were at a few hours ago. A few of my friends that have tried to use the service had the same concern. With over 15 million mobile customers in the US using location based family locator services last year; it is no wonder that virtually every carrier has their own plan to offer. T-Mobile introduced its plan, FamilyWhere, a few years back and it has increased in popularity quickly among T-Mobile customers. T-Mobile’s FamilyWhere service is unique in that it offers a paid and a free option.  FamilyWhere Locate is the paid version similar to family locator services offered by other carriers and other independent companies. It gives parents and family members the ability to locate any mobile device at any time (phone, tablet or computer), but only if it is on a T-Mobile account. The phone does not need to be a smartphone and does not need to be GPS enabled, although it will give poorer accuracy then. FamilyWhere family locator can be used with an app downloaded from the Android market or with a web browser by going to the T-Mobile site. In order to set up T-Mobile FamilyWhere Family Locator, you’ll need to create an account either after downloading the FamilyWhere app or by going to the T-Mobile website and adding the subscription to your line. I downloaded the app and started using the service rather quickly. When you initially start the app, it will give you the choice between the free FamilyWhere Check In option or the paid FamilyWhere Locate service. The FamilyWhere Locate offers a free 30 day trial so both will be free initially. If you decide to simply use the CheckIn service, you do not need to create an account or register in any way. You can start using it immediately to send your location to any other phone. One of the perks to the FamilyWhere CheckIn is that you do not have to be a T-Mobile customer to use it. It is available to phones on all carriers, as with independent apps and services. The free CheckIn service does not allow you to locate other phones, though, so the full featured FamilyWhere Locate service will be needed for the purpose of this review. FamilyWhere Locate does require you to be a T-Mobile customer and can only be used with other phones on your T-Mobile account. I started my FamilyWhere Locate free trial and was able to add my husband’s and child’s phone to it quickly. It located them right away and even reminded me to enable the GPS on my phone. Of course, both my husband and daughter had a smartphone with GPS capabilities and live in the greater LA area so this definitely helps. The user interface on T-Mobile’s FamilyWhere is very user friendly and really appeals to children. It’s rich in color and offers a lot of options. The free Check in option features a text message like interface with a map showing your location in the center. The “To:” field allows you to add anyone from your phone’s contact list and, after entering their name, you can type your message with emoticons and all. You can then send your location to anyone with a mobile device on any network. This is a feature that older children can use to willingly notify their parents of their current location via a text message like app. Of course, since this is an optional feature on their phone and requires an app download, they can easily refuse to download it and use it and send a regular text message that does not give away their location instead. One of the more popular features offered by T-Mobile service is that it offers a free, limited version of FamilyWhere. This version only allows users to “Check in” from the location they are at via a text message like set up. None of the other carriers offer this without being a subscriber to a full feature paid plan. The free FamilyWhere Check In app is available on any mobile phone carrier. It allows subscribers to make text message check ins from any location to let family members know where they are at. With the free FamilyWhere Check In service, spouses, children, siblings and friends can send their location to any phone on any network. For full family locator features, the FamilyWhere Locate paid service is required. The FamilyWhere Locate service has CheckIn capabilities, as well as additional features. It has automatic scheduled checks and unlimited use of locator services. With FamilyWhere Locate, you’ll be able to add up to 10 phones to the account to be able to track. The devices do not have to have GPS capabilities, although it will provide for more accuracy in their locations. The free Android app does not have to be downloaded but it makes the service easier to use and faster as well. If you prefer not to download the app, you can use the web browser on your mobile device and log into FamilyWhere. As previously mentioned, there are two versions of FamilyWhere. The FamilyWhere Check In is absolutely free for an unlimited amount of time. It has its limits, though, in that all it does is send your location to others with a message attached. The paid service, FamilyWhere Locate, is $9.99 per month and comes with a free 30 day free trial. This is a much longer free trial period than most other locator services offer so it gives you ample time to see if it is worth the money.